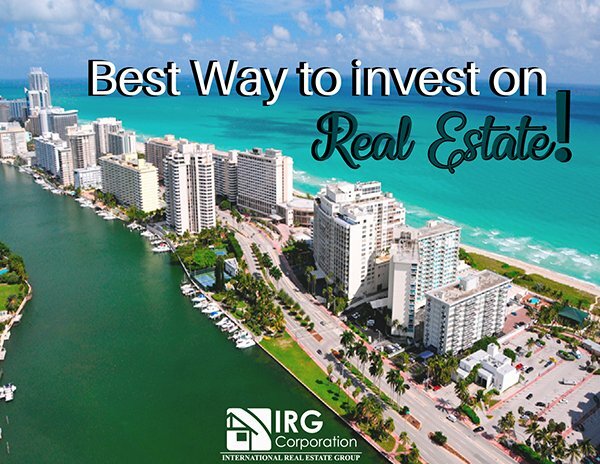 Do you want to enter to invest in real estate? Do not you know what is the best option for you? Do not know what to invest ?, the answers to these questions appear once you understand what are the options you have and what possibilities you are presenting each of them, so this way, depending on what the goal you will know perfectly which of the Investment modalities is the most appropriate for you. The choice of any of these areas will depend a lot on what you want and what your expectations are when it comes to using your money to obtain a greater benefit in the long or short term, so the analysis of these alternatives will be extremely important for the final decision making that will take you to prepare the ground for a future retirement in which the economic tranquility reigns or will open doors to start earning immediately all the money you can get. We know that both have advantages and disadvantages, besides that, in a certain way, one of the main tips that can be given in this case is that if it is the first time they venture into this field, they decide to go for one of the options and little to Little go experimenting until you have enough security to go for more. They bring active income, this means that you must put your time, money and effort to make a profit. It’s quick cash that allows you to use it in other projects you’re thinking about. You avoid maintenance of the houses or having to interact with unwanted tenants. They bring passive income, therefore, you do not need to be frequently aware of the movements that may occur. They allow you to have greater flexibility and a lower loss of income because you do not need to fix or change anything. expense that will decrease part of your profit. It allows you to be financially independent, in addition to having tax incentives that help maintain it and pay your taxes. Once certain parameters are clear and you know very well what you want to obtain, the benefits you want to acquire and a plan has been established, the choice of any of these options is an opportunity to enter the goods once and for all. estate. A Pot of Gold in Real Estate!